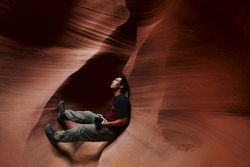 Kevin Chan aka Solar Tempest has been shooting a wide range of styles, locations, and subjects across the world. His award-winning work has been published in newspapers and featured in several photography exhibits. Kevin has spent the past 6 years specializing in cosplay photography and is among the top cosplay photographers in North America.